Tim witnessed, as a child, the death of his father at the hand of the Boogeyman. Now fully grown up, he will try to overcome his trauma by returning to his childhood house. Boogeyman is a rather basic ghost/monster movie. It starts quite well with decent action scenes and, after the first few minutes, I thought it would be quite good, or entertaining at least. Unfortunately, the beginning is the only good part. The movie take ages to start again after the introduction, and when it does, it is really disappointing. The worst thing about that film is the Boogeyman itself, he is really poorly realized and often laughable. Once he has appeared a few times, the film loses all its interest. This really badly affects the credibility of the movie, making it impossible to be scary after that. The rest is a lot of hide and seek, run and catch, call it what you want, but nothing new. 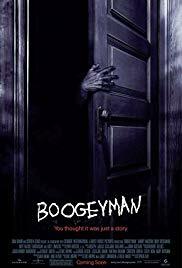 With a story that is almost inexistent, Boogeyman is then a very annoying film to watch. The character of the sissy chicken main guy is especially irritating. 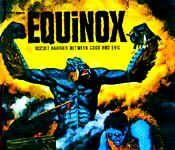 The ending is ridiculous…one of the worst in horror history! Not recommended.